Autistic and Pregnant Autistic Mum Life: Living Arrows | When Grandparents are Great. 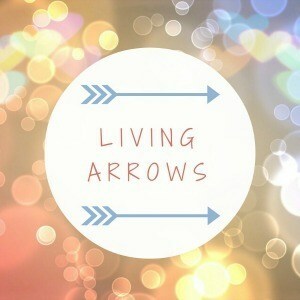 Living Arrows | When Grandparents are Great. Grandparents are naughty. They don't follow the rules that you set as parents and i'm okay with that. It's what grandparents are for. They disciplined their own kids, they don't need to discipline anyone elses. 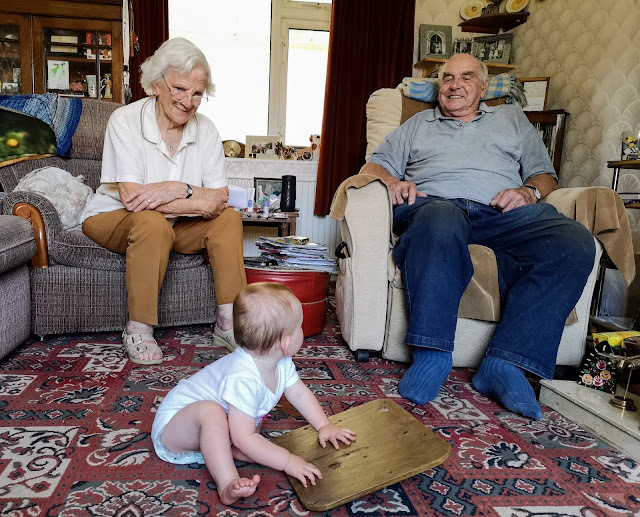 Visiting grandparents is a treat but when you've got a pair of great grandparents on either side of the family then you're really going to get spoilt. Dan and I are so incredibly lucky to still have our grandparents around. I had my great grandparents in my life until I was 11 so I have many wonderful memories. I really do hope that Iris gets to have her great grandparents around for as long as I did, hopefully for even longer. There is such a special connection between Iris and her great grandparents. They talk about her all the time, they want to be with her as much as they can and they love her with all they have. Making memories with your great grandparents is something denied to many so I hope Iris will grow up to appreciate the time she has gotten to spend with them. I miss my Grandparents so much, I no longer have any grandparents whereas my husband still has two of his! Our children are blessed as they therefore have great-grandparents which is wonderful. Paul's Nanna will soon be 100!